Happy Thanksgiving to our friends in the USA and greetings to all! In recent photo news, Gura Gear acquired Tamrac back in June 2014 and now is going to retire the Gura Gear brand and consolidate them under the Tamrac label. The import tool has been updated and restored in the latest Lightroom release along with additional lens profiles and Raw support. Reuters is now only accepting JPEG images rather than edited Raw files. The JPEGs must have "minimal processing" such as level corrections and cropping. Finally, police in Pennsylvania were called out by a 911 call that reported a gunman was walking around with a machine gun. It turned out to be a photographer carrying a tripod! Our guest is Laurilee Thompson, the founder of the Space Coast Birding and Wildlife Festival which will be taking place in Titusville in January 20-25, 2016. This will be the 19th year for the festival and includes an expanded program this year for photography! Laruilee talks about the festival and what to expect, there are dozens and dozens of seminars, fields workshops and classroom sessions - some free! 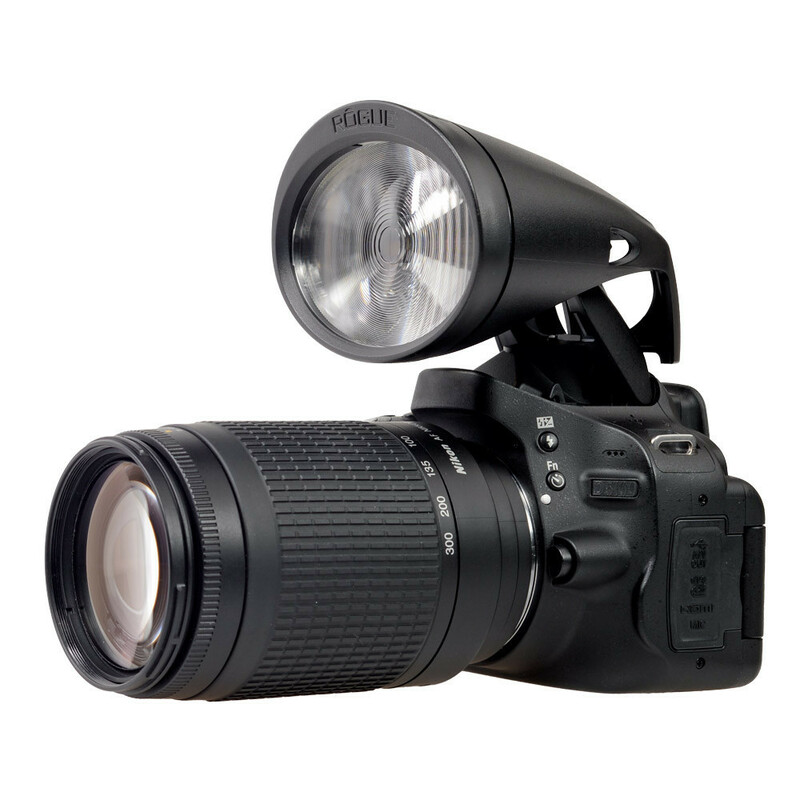 - geared to birders, wildlife enthusiasts, nature lovers and photographers. Jim from The Fotobug will also be there leading workshops at the festival. 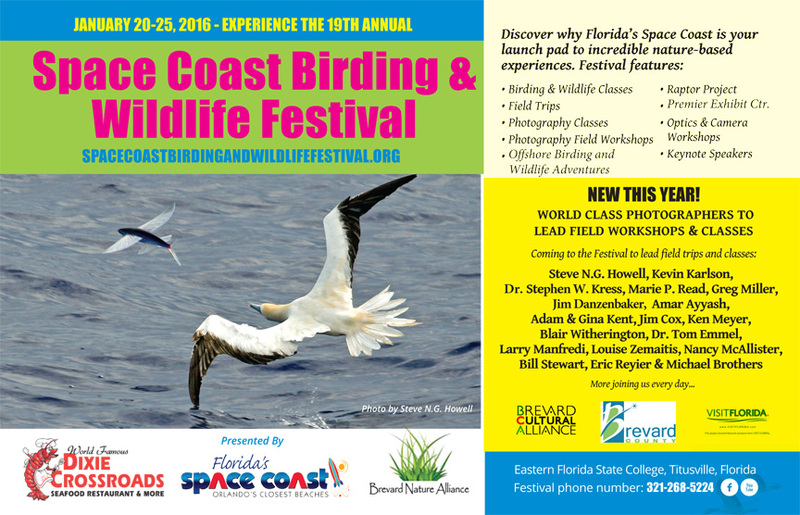 We urge you to go out to the website (www.spacecoastbirdingandwildlifefestival.org) right away to register for the workshops as many workshops have limits on attendees and the popular ones will fill up fast. The Fotobug will be featuring highlights of the festival in the early February podcast. Welcome to The Fotobug Halloween special podcast! In the news Sony Corporation is to split the part of its business that makes imaging sensors away from the Devices segment that it currently comes under and Toshiba is finalizing plans to sell its image sensor business to Sony for an estimated $165 million. Adobeapologizes for issues that caused lockups and crashes with the Lightroom 6.2 update. The FAA is planning to require registration of all UAVs and will possibly do so before the end of the year. Western Digital is planning to acquire Sandisk Corporation in a cash and stock buy out. Sigma is introducing the world's fastest wide angle lens, a 20mm f/1.4 lens! Be sure to watch the podcast for more details on these news items and more! 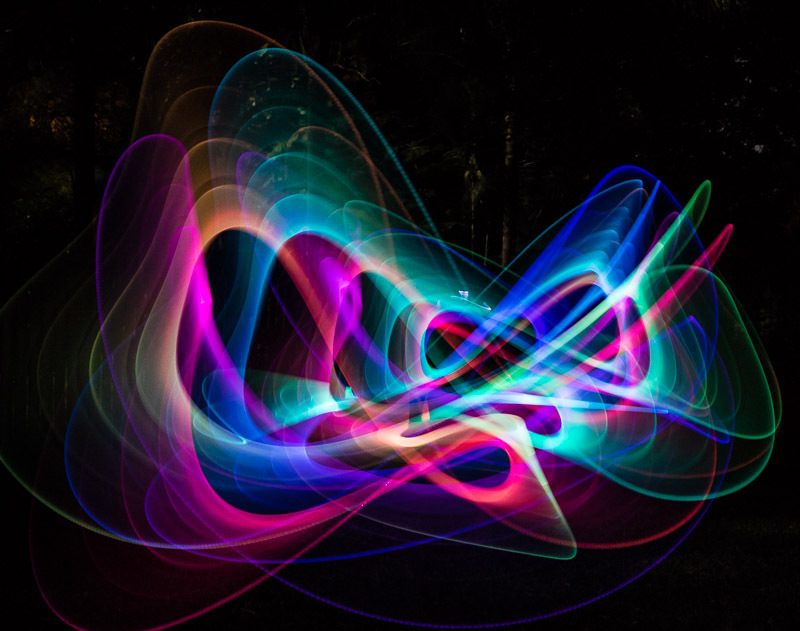 Using simple LED flashlights, Jim and Fred demonstrate how easy it is to create abstract art after dark, in your own back yard! Inexpensive LED lights can be found at many local gift shops and should only cost a few dollars. In addition you can use regular LED flashlights and using colored gels to create different colored light. You might also try extended exposures to include the local landscape with the abstract light paintings placed into the scene. Also, you may wish to wear dark clothing to prevent you from appearing in the final image. In addition to the flashlights, you need a solid tripod and of course, a camera. We recommend keeping your ISO below 1600 and you can use a brighter flashlight to help focus. Be aware that even though you may not see lights in the background, the extended exposure (up to 30 seconds or more!) can cause the distant lights to appear. Have fun and be sure to share your images with us on our Facebook page! Finally, M&M Photo Tours have extended an offer to reduce their Tanzania trip next year by 10%. Check www.mmphototours.com for complete information! Also remember the 10% discount on all Rogue Flash products until the end of the year. Contact Hunts Photo to take advantage of this offer!